I recall at least 35 years ago I read an ad in the marketing industry broadcasting journal of the day, B&T Magazine, (Broadcasting and Television) and the theme of the ad was “What you see depends on where you stand”. It was to do with the way different people see and perceive things differently. I can’t recall why it stuck with me and why I’ve never forgotten it, but it has and I haven’t. This brings to mind the sniggering and guffawing by the juvenile and undergradua…te elite media and the commentariat generally over the last week or so, saying that there is no such things as alternative facts. This is to do with White House advisor Kellyanne Conway’s reference to the concept. When police interview witnesses at the scene of a crime or a car accident they don’t just do it for fun. They gather sometimes varying, sometimes the same version of what happened. The optical illusion is another version of the same thing. The first one below is the drawing of a young woman. Or is it? 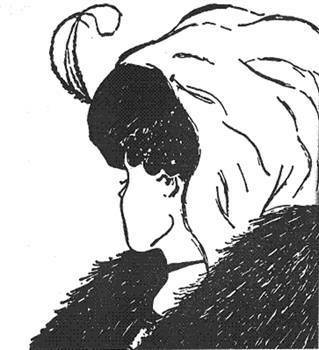 You see, when you hold your gaze and look more closely, it is also a demonstrable, alternative fact that this is a drawing of a haggardly old woman. Alternative facts are not automatically synonymous with lies or falsehoods but simply point to perspectives that differ.